Ern’s sheep have grazed our field and orchard forever but he’s found himself short of ewes and long of pasture this year, so it was a good opportunity for us to tentatively diversify by buying some new stock. Sheep are important to us as we need their tidy grazing to keep the grass under control, but they are also increasingly helpful to open up our meadow sward after mowing and before growth restarts in Spring. Wildflowers need help if they’re not to be overwhelmed by grasses. For this reason Poll Dorsets suggested themselves; the breed is unusual in that they will lamb at any time of year, so if we get our timing right we will have have lambs ready to graze the meadow aftermath from September next year. Not only that but they’re a good looking quality local sheep known for their wool, and bred from the historic Dorset Horn. Ern currently has 20 odd Mule ewes, so we thought we could add another 5 Poll Dorsets to the flock. First port of call was the Breeder’s Association, which led us to Graham Langford’s Blackdown Flock. We were smitten – and impressed by the economic potential of such immaculately bred sheep. They’re now helping graze our existing meadow area and a new section of field, which has been chain harrowed and sown with seed we have collected. 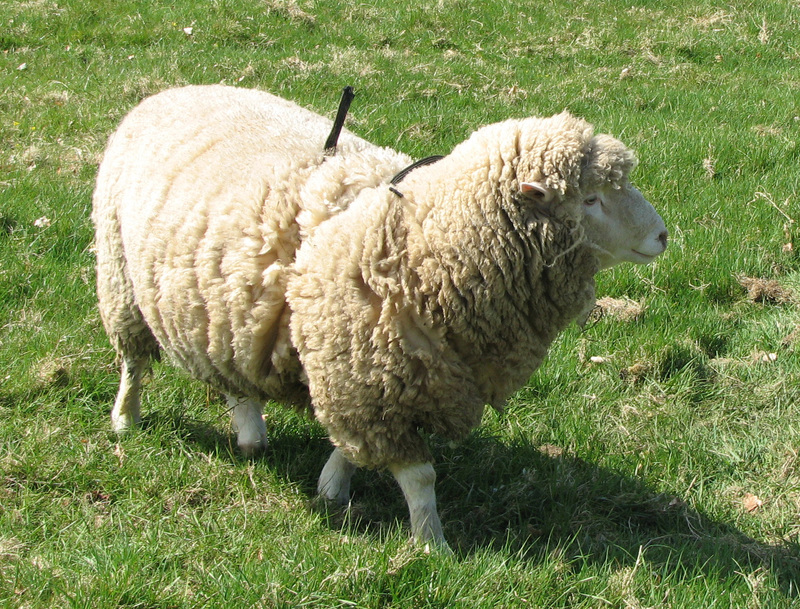 The plan is to have lambs for next Autumn, ready for market in early 2011 – once we’ve found a good quality ram. We’ll keep some to increase the flock size and, over time, maybe even persuade Ern to get into the pedigree sheep business.